I can still remember my neighbor Pauline’s words clearly. She sent me an email encouraging me to rest, and enjoy this season of being a stay at home mother. I however was restless and nearly batty. I felt being a stay at home mom was not a worthy or noble cause… and was rearranging my furniture on a daily basis. I wanted to be doing more. I wanted to impact other women, to be a part of something greater than the Riggleman Clan. As the days turned into weeks, I settled in and embraced the call of mothering and ministering to my family; and yet, in the quiet moments, I heard His ever small voice whispering He has given me much with my babes. He called me to embrace His plans and let go of mine. That was nearly five years ago. Over these precious and short years, I’ve watched my babies grow from infants to wild preschoolers. I’ve watched my oldest grow from adolescence to the tween years. And the greatest moments captured was watching my selfishness, immaturity, and little faith give way to God molding me into the woman He called me to be. While I know that I am not done growing up, I do know that this season of “being still” has ended, and another season has begun. For the next few short years, I’ve been given the honor and opportunity to lead mother’s towards the love and passion of Jesus. Being at home, He has taught me the awesome responsibility creating a home, to parent little ones, and how mothering does impact His Kingdom. This new season of ministry with Kearney MOPS is the opportunity of a lifetime. I get to be His vessel, to encourage and equip the hearts of women for His love and their children. While it may shock many of you out there, I am not the same person I used to be. God has refined me in the years of being at home, and ignited my heart to share how much He loves each little mama. In a way that’s what MOPS is about. It takes moms like me who are unsure of ourselves, maybe even insecure, as we bumble through the waters of parenting without a clue. 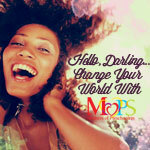 MOPS becomes a lifeline, giving us the tools to parent with confidence. It becomes a place where encouragement is given, and Christ-centered friendships are made. 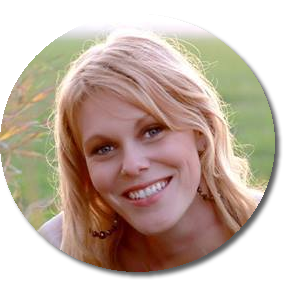 MOPS brought this insecure, unsure, unrefined, and temperamental woman into the depths of His love. In the process, He molded my mothering heart and shaped it with confidence (yes, my kids are still strong willed and wild, but I know I am parenting them as He intended). I’m looking forward to this next season, not only with my family, but walking in the shoes of leading other women to keep their eyes on Jesus.